Roku Announces New Streaming Player Line with Higher Performance, More Convenience and Greater Value. 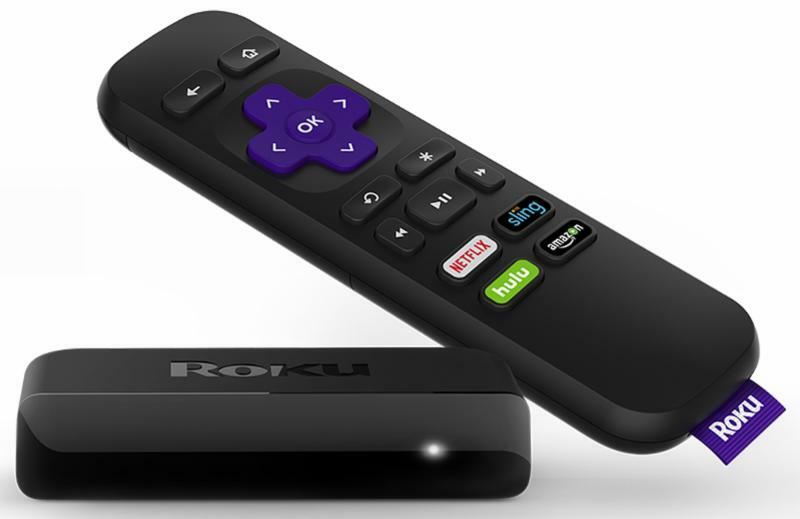 5X More Powerful Roku Express and Express+; Roku Streaming Stick adds Voice Remote with TV Power and Volume Controls; New Roku Streaming Stick+ Offers Up to 4X Wireless Range Plus Brilliant HD, 4K and HDR Picture Quality; Roku Ultra Packs It All for New Lower $99 Price. Great for those who are looking to stream to the TV for the first time or extend their Roku OS experience to other TVs in the home. The second-generation Roku Express and Roku Express+ are five times more powerful than their predecessors and start at only $29.99 MSRP. Small, powerful and portable for those who are on the move or want their streaming player hidden behind their TV. Features quad-core processor and 802.11 AC dual-band MIMO wireless. Now comes with a voice remote that includes TV power and volume buttons that can control compatible TV models and the Roku Streaming Stick together. The Roku Streaming Stick offers exceptional HD streaming. $49.99 MSRP. Roku Streaming Stick+ boasts exceptional wireless performance with its advanced wireless receiver that is innovatively built into the power cord. This new model offers up to four times the wireless range than the 2016 Roku Streaming Stick to minimize buffering. It combines brilliant 4K Ultra HD and HDR picture quality with the portability of the popular stick form factor. Great for HD, 4K and 4K HDR up to 60 frames per second (fps) streaming. Channels launch quickly to get to favorite shows fast. $69.99 MSRP. Roku's most powerful and feature-packed player offers the best wireless performance and can stream HD, 4K and 4K HDR with up to 60 fps. The Roku Ultra features an ethernet port for wired connectivity and a micro SD slot to help speed up streaming channel load times. With the new remote, consumers can power up and change volume on the TV, plus use voice to find favorite shows. There's also a headphone jack for private listening and a remote finder button that helps locate lost remotes. New lower $99.99 MSRP. The Roku platform provides streamers with access to 500,000 movies and TV episodes plus more than 5,000 channels. The Roku Channel, which launched just weeks ago, features hundreds of Hollywood hits and more with no fees, subscriptions or logins required.